Sea turtle hatchlings instinctively head toward the light, which normally would be moonlight and starlight. But today the brightest light comes not from ocean reflections but light from human structures such as hotels and strip malls. Man made lights are brighter than anything natural and draw baby turtles away from the sea instead of towards it. Luckily there is a push right now to change out bright halogen lights with LED’s. The lower wattage will really help the turtles figure out the right path to the water. 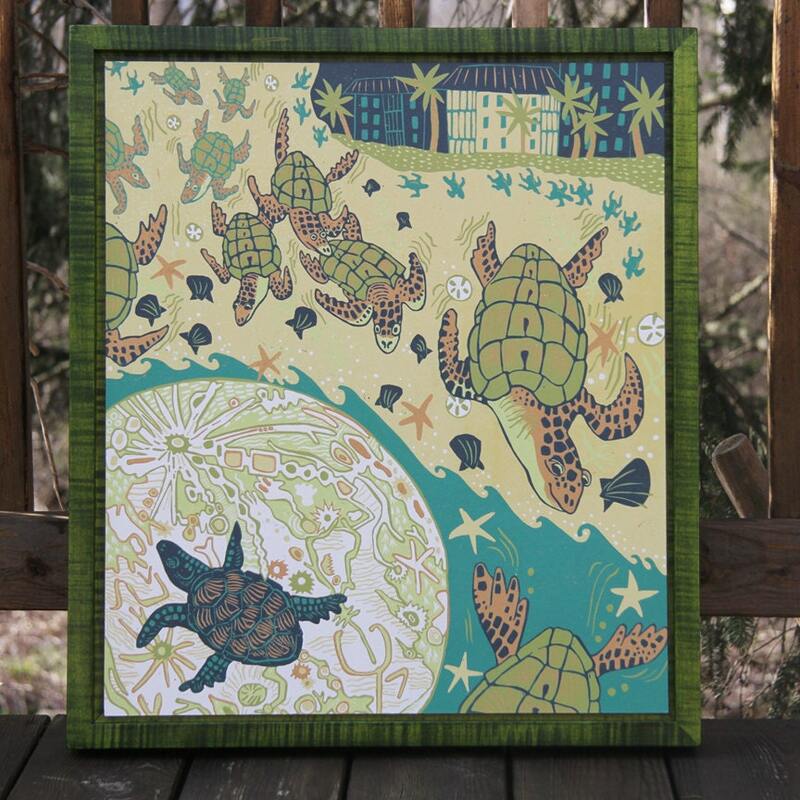 I have a green frame ready to ship but also can be framed in any custom color.